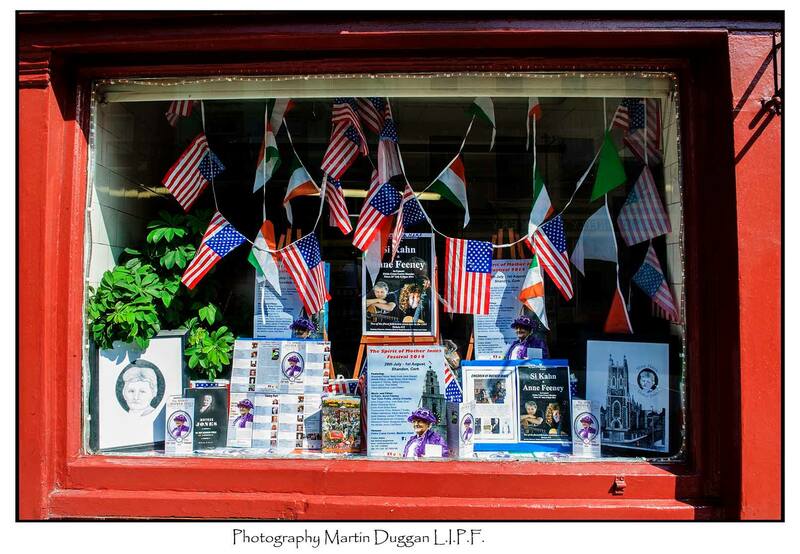 Mother Jones display, Nolan’s butcher shop, Shandon St. Pic: Martin Duggan. 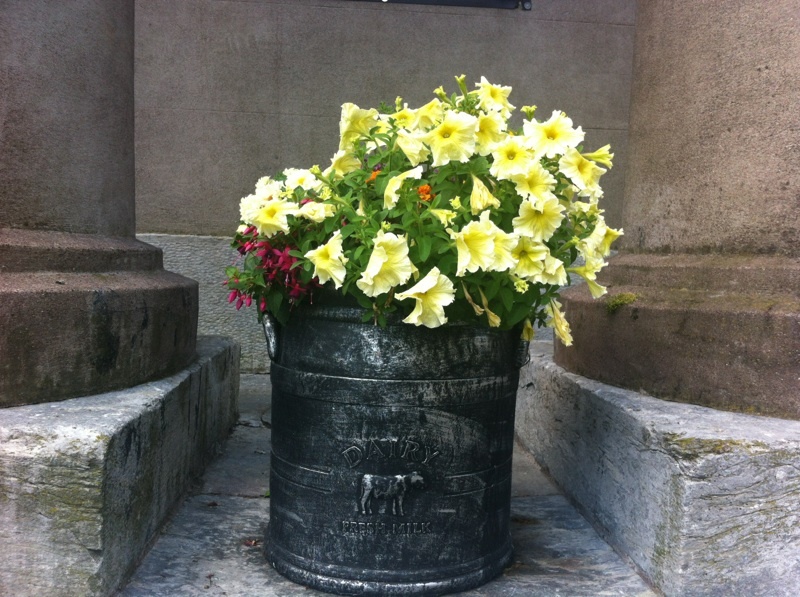 A few days ago we reported that volunteers were busy preparing the Shandon area of Cork for the Spirit of Mother Jones festival which starts next Tuesday, 29th July. Today we have some photos to show the results of that work. 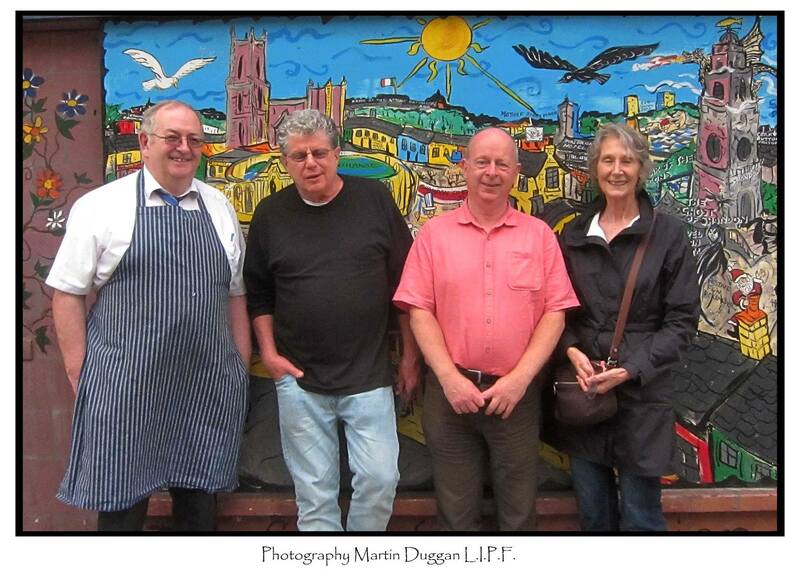 Our sincere thanks once again to Shandon Area Resident’s association, local business premises, Cork City Council and local volunteers. 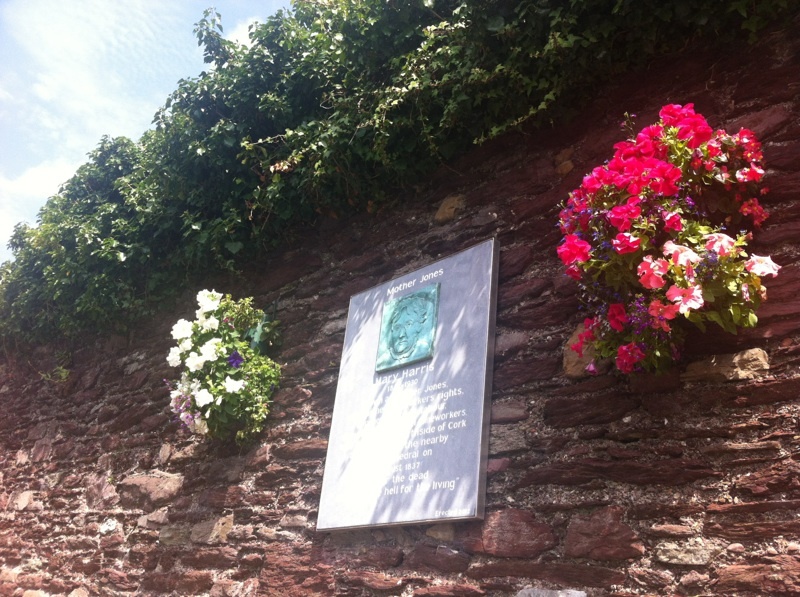 Flowers around the Mother Jones plaque, John Redmond Street, Shandon, Cork City. 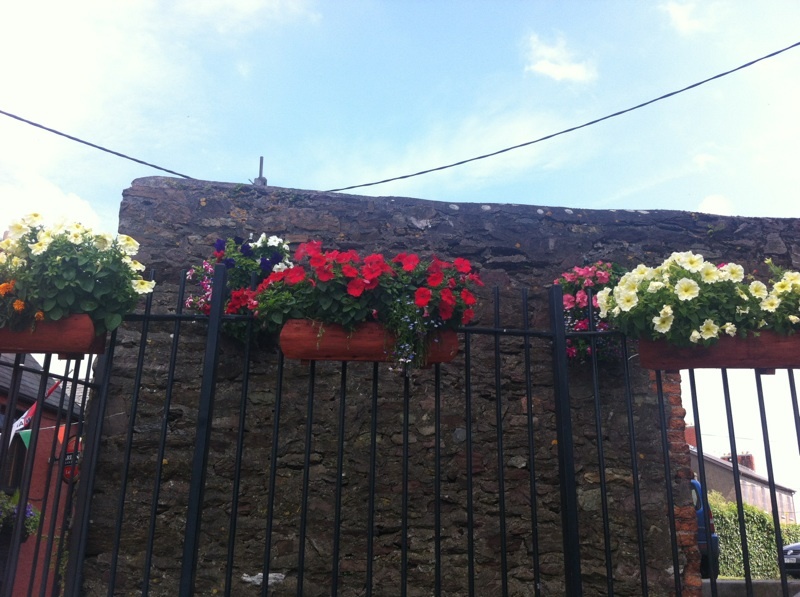 Flowers in an old milk churn at Cork’s historic Butter Market, Shandon.